Our shoot was the perfect balance of making their parents happy with formal pictures they could use for their wedding, and most importantly fun and relaxed for the three of us! I love them both, and I am so happy for all their successes! These two go to show you don't have to be engaged to schedule a "love" shoot! 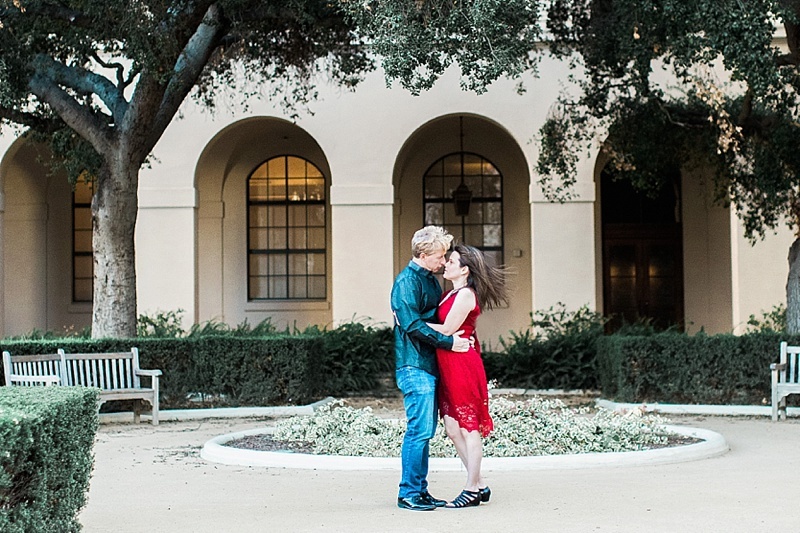 They are clearly smitten with one another, and a bright and glowy shoot around amazing finds of Pasadena was the perfect backdrop to feature their budding romance. 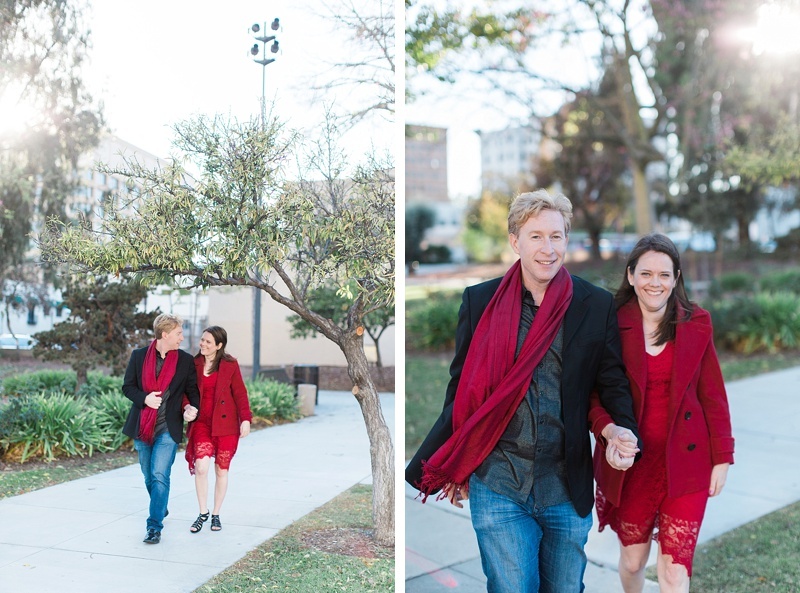 We braved the cold and it was wonderful to document so many flirty giggles! This golden soaked shoot with Slate and Maile in Griffith Park makes me so warm and fuzzy! As fast as we moved to get the best of the glow, they were constantly laughing and having an absolute ball! It was a wonderful Christmas shoot with a great representation of the California winter wardrobe. These two plan to tie the know seaside in San Diego next summer! An engagement session at the Montage in Laguna Beach was the perfect fit! It was a wonderful afternoon with plenty of laughs, and a surprise encounter with Jesse Tyler Ferguson photo bombing us! Timeless memories. I feel lucky to have seen this couple get engaged on top of the Cougar Crest Mountain in Big Bear a few weeks ago! Nuhoré and Lexi mountain biked to the top of the mountain as I nervously hauled myself to reach the top while there was still light. Once we reached the top, Nuhoré gave me the "knod" and took the safely placed ring out of his jacket pocket. The rest is all that is featured below!! This session exudes all that these wonderful people are; vibrant, playful, adventurous and clearly smitten with one another. I cannot wait for their wedding next October! Nikki & Leo will be married this time next year at the beautiful Brooklyn Botanic Gardens in Nikki's home town of NYC. They dressed to impress for their innovative shoot at the Los Angeles County Museum of Art. I could have photographed her dress all day long. What a chic couple. Leo and Nikki are more than a bold pairing, they're also architects. I have a feeling they'll be a designing duo taking on Los Angeles in no time. Best wishes Nikki & Leo! I was over the moon to document David and Elena's engagement party! First of all, how gorgeous are they?!?!? He's a sweet, southern gentleman, and she's a wholesome, California-kissed girl. This couple takes the cake for creativity, let me tell you. Their family and friends were a big help to achieve setting up a flower crown making station, a photo booth complete with clever, hand made props, a mimosa bar, a beautiful table scape, and of course an outdoor MOVIE THEATER (complete with tree stumps for drink holders)! A highlight was having everyone gather round on their blankets and pillows and I had David pop that famous question in front of everyone with his sweetheart through performance. And guess what, SHE SAID YES! These gorgeous ladies were a delight to photograph during my favorite time of day, golden hour! How romantic is a SURPRISE proposal in Maui?! Well Carla successfully kept it a secret until taking Giovanna to Hawaii for a vacation. Carla strung photos (in chronological order) that detailed their relationship and led Giovanna straight to her -- where she popped the question. Such an amazing way to start their lives together! Giovanna and Carla are proud mommas of Chicken Nugget. I had to be sure to keep from obsessively photographing her first position feet and lusciously long eye lashes! I cannot wait to photograph their wedding being held at Wren's Nest in Temecula in just 2 more weeks! This decadent, Disney day of love was one of my all time favorite shoots to date! Elena and I share a huge love for Disney, and when the idea was posed to do a fantasy engagement shoot in the park, Jonny was the final piece to the puzzle! Besides being a GORGEOUS couple, Jonny and Elena have made an incredible team for the past 5 years. He's her smart and dreamy musician, and she's his savvy, and oh so fashionable sweetheart. Snow White's wishing well was the ideal backdrop for Jonny to drop down to one knee and remind us all that chivalry is alive and well. I am so in love with Elena's emerald ring hugged in diamonds, it popped perfectly against her lush, ruby dress. It was so fun having Goofy and Pluto photo bomb us in California Adventure! I am so honored to get to capture timeless moments like these. I wish Elena and Jonny a lifetime of happiness and love! Thank you to Chris Allport for your amazing videography of the day!